A press release from the Green Building Initiative announces the results of an independent study, funded by GBI, comparing the costs for certifying the same building under Green Globes and LEED. Portland, OR – May 13, 2014 – The Green Building Initiative (GBI) today announced that, according to a recent study completed by Drexel University professor Jeffrey Beard, GBI’s Green Globes certification process is significantly less expensive to conduct and faster to complete than LEED certification, according to GBI president Jerry Yudelson. The research was confined to the Papadakis Integrated Sciences Building at Drexel’s West Philadelphia campus, a five-story, 130,000-square-foot laboratory and classroom building that opened in 2011. A key variance in the two rating systems that was revealed by the study was the cost of using each for the Papadakis building. The breakdown summarized in the university’s records indicates internal (staff time) costs at Drexel for administering both systems were more than $125,000 for LEED versus $9,000 for Green Globes. The report’s summary shows aggregate green building costs (i.e., hard cost premium, soft costs and optional costs for sustainability rating) nearly 15 percent higher for LEED than for Green Globes. The table below illustrates cost differences between LEED and Green Globes in several key areas of design, management and assessment. What does this study mean? LEED is a more rigorous process, requiring an immense amount of documentation to verify design intent meets reality. Since no one on the review team actually visits the project, this seems to be a reasonable request. Rigorous documentation requirements deter project teams from fabricating designs and saying they are going to do something and then not do it (this is possible even under the current system, but becomes less likely as requirements become more stringent). With Green Globes, an inspector spends an average of 4 hours visiting a project and confirming that the project meets the design intent. There is no oversight to review what happens during this site visit, nor to confirm the findings of the inspector. The inspector has sole authority to award certification at the level he/she sees fit. What is missing from this study is a comparison of the “greenness” of buildings certified under either program. 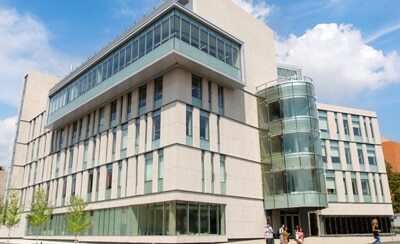 Which program has the most energy efficient buildings? Which has the least amount of toxic chemicals in its materials? Which provides the most daylight and views for occupants? A life cycle analysis of buildings certified under each program would be a monumental task, but may be the only way to quantify which program is better at producing buildings that are less harmful to the environment.